Product prices and availability are accurate as of 2019-04-21 13:03:49 EDT and are subject to change. Any price and availability information displayed on http://www.amazon.com/ at the time of purchase will apply to the purchase of this product. 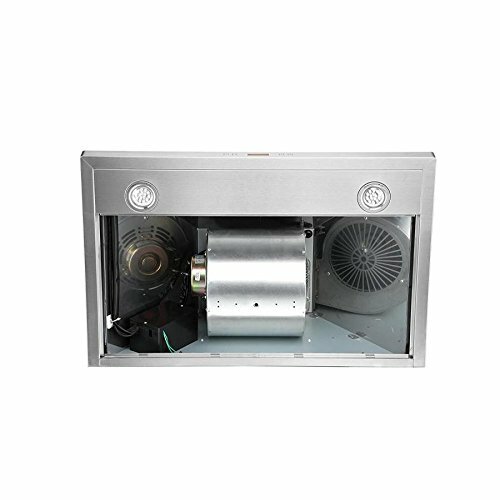 900 CFM: More powerful then most competitors, this exhaust system is made for heavy duty cooking that removes grease, odors and potentially toxic pollutants from the air in your kitchen Designed with a Whisper quiet single chamber centrifugal blower. The noise level is at 25 decibels on the lowest setting and 56 decibels on the highest speed setting. Built to Last: Commercial grade heavy duty 19 gauge stainless steel construction is non-magnetic and rust proof with a brushed finish. 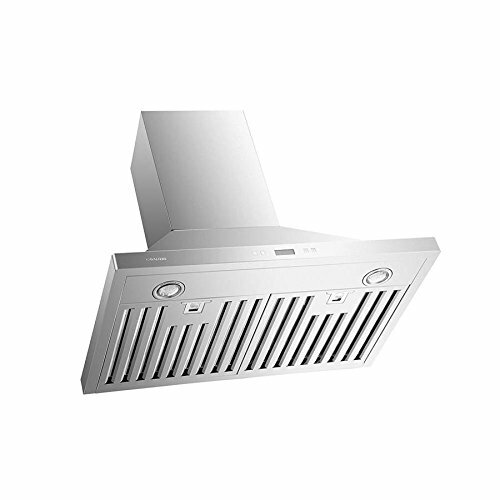 6" inch round ducting comes from the top of the range hood and a adjustable chimney accommodates a 8' ft to 9' ft ceiling. 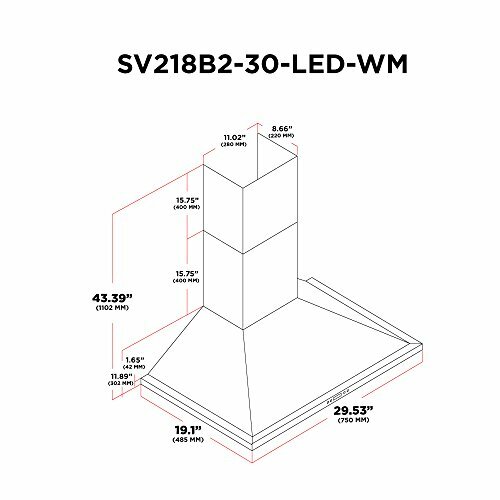 If your ceiling height is above 9' ft, then a higher chimney extension is required. 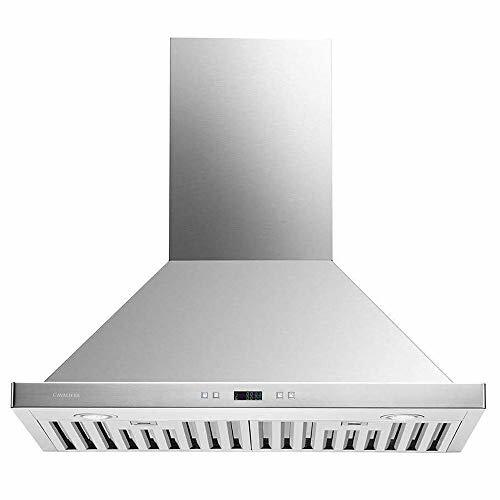 ( Sold Separately) Easy to Use: 6 speed levels are controlled by a touch sensitive electronic control panel that allows for simple operational use of the range hood. 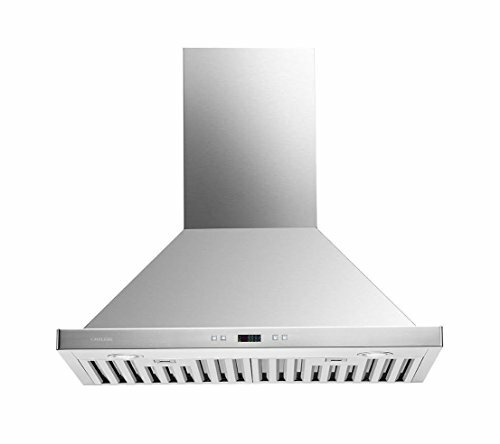 Two LED light bulbs placed in the front of the range hood provide enough illumination for your entire cooktop surface. 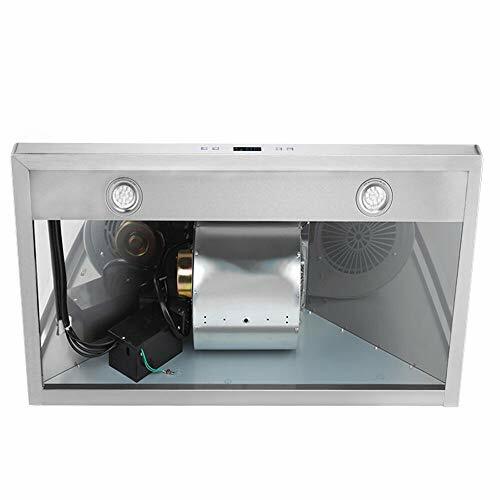 Filtration System: Stainless steel baffle filters are more durable, dishwasher safe and easier to clean allowing for cost effective low maintenance.